Bring a touch of the wild side into your bedroom. This mink fleece comforter has a Zebra pattern embossed into the material for added surface texture. 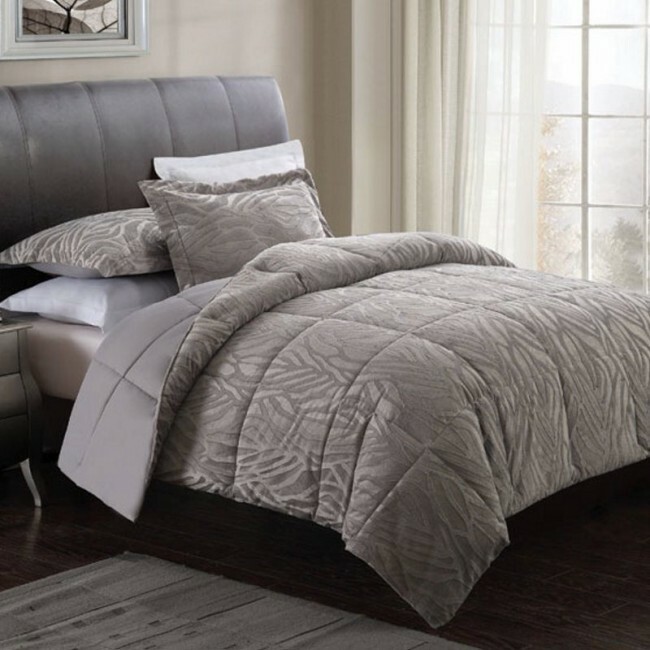 The comforter reverses to a coordinating silver/platinum solid color. Face is 100% Polyester. Filled with 100% hypoallergenic polyester. Machine washable. Full/Queen set includes: comforter 90″ x 90″ and 2 standard shams 20″ x 26″. King set includes: comforter 104″ x 90″ and 2 king shams 20″ x 36″.